The city of Durango will work with major water users on plans to conserve water during extreme drought this summer. The city of Durango hopes to avoid restricting residents’ water usage this summer and instead work with its four largest water users if the drought worsens. Hillcrest Golf Club, Durango School District 9-R, Fort Lewis College and the city’s Parks and Recreation Department have agreed to cut back on irrigation by 10 percent when flows in the Florida River drop, likely in June, Utilities Director Levi Lloyd told the Utilities Commission on Monday. Florida River flows drop because Lemon Reservoir managers start holding back water, which they do every year as part of their management strategy. At that point, the city relies more on water from the Animas River. Asking for voluntary water conservation from residents doesn’t work as a water management practice, Lloyd said. “People immediately start watering their lawns more,” he said. If Parks and Rec, 9-R, FLC and Hillcrest cut back as planned, it will save about 300,000 gallons of raw and treated water a day, he said. Parks and Rec is working to make sure that city parks are as healthy as possible before conservation measures are started, he said. The city is also working with its 10 largest commercial users on similar conservation measures, which could save an additional 700,000 gallons a day, he said. “Our hope is that gets us through the bulk of the dry season,” Lloyd said. City officials hope there will be above-average precipitation during July, August and September. If the level of the city’s reservoir drops, residents could be subject to irrigation restrictions, he said. 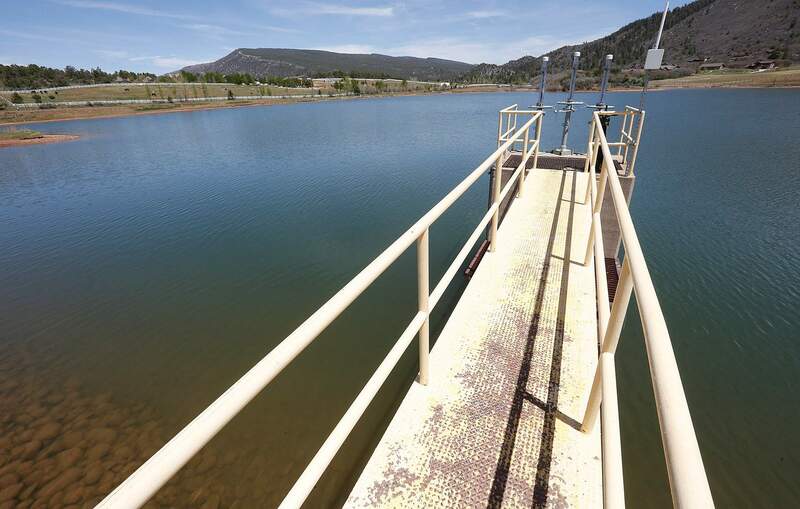 To help manage water during the drought, the city also stopped accepting new customers at its water dock in May, Assistant Utilities Manager Jarrod Biggs said. The measure will prevent a potential run on the city’s system as residents across the county face dry conditions, he said. Next year, the city could invest in some upgrades to the water dock system to improve the pavement, add a new filling station and improve technology that lets the city limit purchases, Lloyd said. “We really want to have a more robust system that we have more control over,” he said.